Whether you’re driving a brand new INFINITI or a used SUV, keeping up with routine maintenance like an INFINITI oil change service is necessary. With a routine oil change, you’re ensuring that your luxury vehicle has fresh engine oil circulating, which means safe driving on Bridgewater roads. 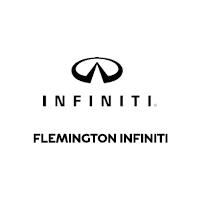 The service center at Flemington INFINITI will inspect and repair your vehicle. How Long to Go In Between INFINITI Oil Changes? While the new rule to follow is having the oil change done twice a year or every 7,500 to 10,000 miles, it’s recommended to go about 3,000 miles in between oil changes. Remember, this could differ by model since some vehicles require different oil, like synthetic oil. It’s recommended to refer to your INFINITI car manual for information regarding oil changes or contact our service department at Flemington INFINITI. If you don’t regularly drive your INFINITI, you still need to have an oil change done every three months. Be sure you’re replacing old oil that can build up, causing your engine to lose efficiency. How Often Should I Check My Oil Level? It’s best to check the oil level at least once a month to catch any potential leaks. Also, look at the oil colors to ensure it’s not changing and check for any metal particles. Dirty oil changes the way your vehicle drives, and these are signs of major issues. If you’re noticing any of these issues or have questions, schedule a service appointment with a service advisor. When you’re ready to have your INFINITI oil changed, visit Flemington INFINITI. Before stopping at our service center, browse our available INFINITI oil change coupons online and save on your next visit. Contact us online with any questions! Warm up to this special offer! Service includes: Up to 5 qts. of oil, filter, 4-wheel tire rotation, check brakes, set tire pressure and measure tread depth, test battery, top off all fluids, inspect wiper blades, and complete multi-point inspection. Valid only at Flemington INFINITI. Coupon must be presented at time of service check-in. Cannot be combined with any other coupons or in-store offers. Tax and waste disposal additional. See dealer for complete details. 1-year road hazard guarantee and 10-day/500-mile 100% satisfaction guarantee. We’re not fooling! Get Ready for Spring with Service. Maximum discount $150.00. Valid only at Flemington INFINITI. Coupon must be presented at time of write-up. One coupon per customer, per visit. Not to be used to reduce outstanding debt. No cash value. Not retroactive. See dealership for details. Void where prohibited by law. Expires: 4/30/19. Stop and Save. Take advantage of this special offer and receive $50 off per axle on OEM Brake Components specially designed for your vehicle to keep you safe and maximize performance. Valid only at Flemington INFINITI. Coupon must be presented at time of write-up. One coupon per customer, per visit. Not to be used to reduce outstanding debt. No cash value. Not retroactive. See dealership for details. Expires: 4/30/2019. Warm up with this special offer! Service includes: Up to 5 quarts of oil, filter, 4-wheel tire rotation, check brakes, set tire pressure and measure tred depth, test battery, top off all fluids, inspect wiper blades and complete multi-point inspection. Valid only at Flemington INFINITI. Coupon must be presented at time of write-up. One coupon per customer, per visit. Not to be used to reduce outstanding debt. No cash value. Not retroactive. See dealership for details. Expires: 4/30//2019.